The Women’s Basketball Hall of Fame Board of Directors selects individuals to be inducted into the Women’s Basketball Hall of Fame. Selection is based on defined qualifications. 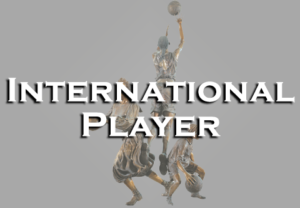 In order to be considered for selection in the international player category, the nominee is eligible three years after retirement from competition at the highest level and must meet a minimum of TWO of the following requirements. 1. Member of the FIBA Hall of Fame. 2. Contributing member of a team that competed in an Olympic or World Cup competition. 3. Major contributor on a championship team (e.g., WNBA, EuroLeague, NCAA, domestic professional leagues). 4. Professional experience (e.g. WNBA, international) with honors (e.g., MVP, first team, All-Star selection) and/or championships. 5. Player of the Year recipient (e.g., WNBA, international governing body, WBCA Wade Trophy, Wooden, Naismith, AP). 6. All-American (e.g., WBCA, Kodak, AP) at the collegiate level at least one year.